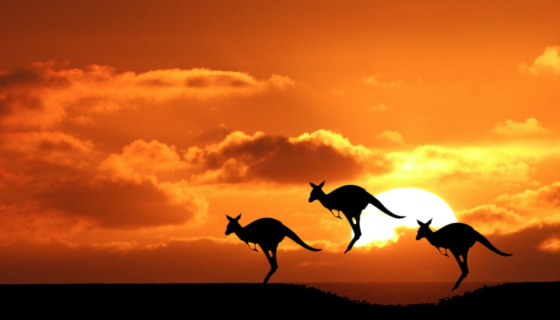 “Brilliant and beautiful, Australia!” We will visit Melbourne, Sydney and the Outback. Join us and see some kangaroos and play a didgeridoo. This tour is going to be an awesome adventure full of memorable journeys, beautiful nature, great food and wine, sweet events and culture, a few islands to hop and beaches to relax on. Come with us to connect with the oldest culture on earth, there’s nothing like a Venture Road tour in Australia. The Great Ocean Road: This road is a 151 mile stretch of outrageously beautiful path that is said to be one of the best road trips in the world. Queen Victoria Market: This market provides the best and most atmospheric shopping experience in Melbourne. It has been a main point of interest the city’s culture for more than a century! Shrine of Remembrance: A beautiful memorial that is well worth the visit. From the top of its steps you can catch a spectacular view of Melbourne and learn all there is about this fantastic place. Sydney Opera House: This world famous building is spectacular from all angles. See some amazing shows during an unforgettable experience. Blue Mountains: The Blue Mountains make for one of the best and most popular day trips from Sydney. We will see the Three Sisters rock formation from Echo Point lookout. Kings Cross: One of the best nights out you will have in your life! This place is home to some of the best bars in the city. It can get a little wild, so keep your wits about you. Learn to surf at Bondi Beach: Why wouldn’t you?! Surfing is as much a part of Aussie culture as beers and BBQs. There isn’t a better place to learn than on the country’s most famous beach. It is generally thought that Aboriginal people began living on the continent 50,000 to 60,000 years ago, and some authorities believe their occupation may date back 100,000 years. Australia is the only nation to occupy an entire continent. Its land mass of nearly 7.7 million square kms is the flattest and (after Antarctica) driest of continents. Australia has a coastline of 36,735km - so a LOT of beach!